Here are some great short articles and web links to articles about dairy goats and Nigerian Dwarf Goats in particular. We hope you learn from, and enjoy reading them as much as we did. If you know of a good article on goats that you would like to share please let us know! The following article is from Off The Grid News, please follow the link. One of the cornerstones of any self-sufficient homestead is the ability to produce dairy products. Dairy products are a valuable source of essential fats, carbs, proteins, vitamins and minerals – including riboflavin, vitamin B12, magnesium and potassium. Unlike fortified and pasteurized milk, however, raw milk is not a significant source of vitamins A and D. Raw milk can be used to make cheese, yogurts, keifers, and butter, adding rich variety to your diet in any self-reliant situation. Many of us, however, lack the space or have insufficient good pasture for keeping a milk cow. If you don’t have the ability to feed a cow off the land, feed costs can mount quickly. At the height of last year’s drought I watched neighbors selling off cattle or going broke buying hay, if they could find it. I was never so happy to have chosen goats over cows to meet my family’s dairy needs. My goats went along just fine eating dead weeds. We incurred no additional feed costs as a result of the drought, and our milk supply was uninterrupted. Droughts aside, goats are great on poor pastures, and do fine overwinter on relatively small amounts of feed. Our annual feed expense for a goat herd that fluctuates between 6 and 12 goats runs about two round bales and a few 50 pound sacks of sweet feed. The sweet feed is used primarily as a treat at milking time. Although we have 40 acres, about three quarters of it is not good pasture. It is brushy and wooded, and perfect for goats! If your ultimate goal is dairy cows, a herd of goats is a great way to clean up overgrown pasture, and is a nice intermediate step. You may find that you enjoy the goats so much that you never make the transition to cows. Goats are far more economical than dairy cows. You can purchase eight or 10 good dairy goats for the cost of one good Jersey milk cow. You can run more goats in the same space, and we have already discussed the savings in feed costs in raising goats over cows. Feed is a big consideration when planning for a crisis, and goats require little or no planning in this regard. Goats are also a lot easier to handle than cows. My daughters, aged 11 and 15, can manhandle the orneriest goat, where a grumpy cow could have its way. This ease of handling is a Godsend at milking time, at kidding time, or at any other time when bending a goat to your will is required. Other than milking time, very little handling is required. Periodic hoof trimming is a good idea, but it is fairly straightforward and an easy skill to learn. Most kidding goes smoothly and nannies almost always handle it on their own. Problem births, however, are easier to handle than those with cows since you don’t have to worry as much about getting stepped on, fallen on, or kicked to death. We raise a mixture of breeds. Our best milker at the moment is a Lamancha named Snickers. We run her on a once a day milking schedule and she can be counted on for at least a half-gallon per day. Lamancha goats have wonderful dispositions, and the butterfat content is high but not overwhelming. Other goats in our herd are Nubians, Alpines, and crosses of these breeds. Nubians contribute higher fat-content milk, while Alpines are very hardy and good kidders. We have been very pleased with the results of the crosses, although we are leaning more on the Nubian side of the equation at this time. There are many other fine breeds of dairy goats, and you should definitely do your homework before making your selection. If you are very limited in space, several of the miniature breed make excellent milkers, Nigerian dwarfs in particular have extremely high butterfat content in their milk. There is a breed to fit almost any need, preference, or environment. As I mentioned, we tend to run a once-a-day milking schedule. Opinions vary on this practice. Some maintain that this presents health risks to the goats in the form of a greater likelihood of mastitis. We have not encountered this problem, but we monitor constantly and are prepared to switch to a twice-a-day strategy should the need arise. Another consideration with a once-a-day schedule is that it does reduce milk production. We have weighed the options, and the reduced output is justified by the lightened load on our time at the moment. You will have to make this determination for yourself, but realize that should you choose to milk once a day you are making a commitment to monitor the health of your herd more closely and that there is almost NO flexibility in milking time. One big minus, to some folks, in goat’s milk is the difficulty in converting it to butter. Even though goat’s milk has a high fat content, it is naturally homogenized. This means that the cream does not separate and making butter requires a lot more effort. We have moved butter production into the “not practical” column, although some folks accomplish the task. Other than that, we use our milk for everything that cow’s milk is good for. This includes morning coffee, chocolate milk for the kids, a variety of cheeses, yogurt, keifer, and even ice cream! Some people find goat’s milk to have a “different” or “goaty” taste, but we have found that this is reduced by using the milk within three or four days, and that after a couple weeks of using goat’s milk you forget it tastes different at all. Overall, we find keeping goats to be an incredibly rewarding experience, both in tangible and intangible ways. Our goats provide us with abundance far in excess of the demands they place on us, and they are a joy to work or just hang out with. Baby goats are about the cutest critters on the planet, and they are more fun to watch than just about anything on TV these days. When we first got our goats, we viewed them as a temporary stop on the way to a milk cow, but now I wouldn’t trade them for anything. We may still get a cow, but it will be an addition rather than a replacement. Goat milk ice cream? Some of you might be raising your eyebrows right now because you've heard goat milk tastes funny. We could blame the funny-taste fallacy on a conspiracy concocted by those comical Far Side cows. But more likely it is because someone kept the buck among the herd, especially at milking time. A buck can be quite odoriferous, and his strong, musky scent can permeate the milk. The fact is, properly collected goat milk tastes just as good as cow milk. Some people believe it tastes better. “I have a friend whose brother refused to drink goat milk because he knew he wouldn't like it,” says 20-year goat veteran Gail Damerow, editor of Rural Heritage magazine and author of Your Goats and Raising Milk Goats Successfully. Gail's friend bought a carton of cow's milk from the store for her visiting brother. After he emptied the carton, his sister refilled it with fresh goat milk. The scenario continued until a week later, when he noticed the carton looked a bit worn around the edges. She admitted he'd been drinking goat milk all week. He became an instant convert. More of the world's people consume goat milk than cow milk. Goats are hardy animals: They adapt well to heat and cold, productively forage and graze, require little space, and are inexpensive to keep. Since mature does (females) usually weigh between 120 and 135 pounds (dwarf breeds can weigh between 35 and 85 pounds), they're much easier to handle than hefty cows, which can weigh 1,000 pounds each. Goats may surprise you in other ways, as well. They're highly intelligent, remarkably friendly creatures. And, since they're active, extremely agile and very curious, their antics can amuse you for hours. With all that in mind, it's easy to see why dairy goats can be the ideal addition to today's family farm or homestead. There are more than 200 different goat breeds worldwide; six primary breeds dominate the dairy goat arena: Alpines, Oberhaslis, Saanens, Toggenburgs, LaManchas and Nubians. While all breeds generally do well in most of the country, the first four breeds listed are well-suited to cooler climates since their origins can be traced to Swiss mountain regions. LaManchas and Nubians hail from tropical and desert climates where it's warmer, and they tolerate hot summer conditions better than the Swiss breeds. You can recognize Alpine goats by their upright ears and long necks. This medium-to-large, hardy breed also milks well. Their coats are two-toned, with black and white the most common colors. Oberhaslis have distinctive coloration, and are usually bay (reddish brown) with black markings or sometimes completely black. A beautiful medium-to-small breed, Oberhaslis don't produce quite as much milk as the other breeds. Saanens are commonly referred to as the Holstein of the goat world. Noted as heavy milkers, they are often the breed used in commercial dairies. One of the larger breeds, amiable Saanens are usually all white. Toggenburg coat colors range from fawn to deep chocolate. A medium-size breed known for long lactations, their inquisitive nature can sometimes become quite challenging. LaManchas are unique from the other breeds in that they have no visible external ears. (The ears are actually just very small.) Another well-known trait is their calm and gentle nature. Also noted as a good milker, this larger breed comes in many colors. Several characteristics distinguish Nubians from other dairy breeds: They have floppy ears, a convex, Roman nose and an energetic disposition some say is just plain stubborn. Another large breed with myriad coat colors, Nubians are known as the jerseys of the goat world for producing milk with high butterfat content. One up-and-coming dairy breed you might want to consider is the Nigerian Dwarf, a West African native that is turning out to be a surprisingly good milker. Cheryl Smith, editor of Ruminations, Nigerian Dwarf Dairy Goat Magazine, acquired her first Nigerians about four years ago. The breed's smaller size — mature does weigh between 30 and 50 pounds — friendly personality and variation in coat color make Nigerians very appealing. Despite their small size, Nigerian does kid (give birth) very easily. But the best thing, says Cheryl, is the fact that Nigerian milk has extremely high butterfat and protein content. The higher protein means you get more cheese out of the milk. Toward the end of a lactation, Cheryl says, the butterfat can reach 8 to 10 percent, compared with about 3.5 to 6 percent for other breeds. Depending on the breed you choose and your location, the expense of purchasing a goat can vary widely. Expect to pay anywhere from $75 to $500, depending on whether or not the goat is registered. Buy registered goats if you want to compete in shows. Above all, try to buy your goats from a breeder who lives nearby. That way the goats are already adapted to your climate, plus you can see the environment where they were raised. There are many ways to find a goat breeder. Start by visiting goat shows at your county or state fair. Get a referral from your local feed store or county extension office. You can also contact the American Dairy Goat Association or the specific organization that promotes your chosen breed for a list of local breeders. It's best to avoid livestock auctions or sale barns. Most importantly, invest in the best quality goats you can afford: You'll be glad you did. Goats are a friendly bunch and enjoy being in each other's company, so always start off with at least two goats. Give your goats plenty of outside space where they can play, exercise and forage to their hearts' content. As with any farm animal, certain needs should be provided for before bringing your goats home. For starters, goats need some type of shelter. It doesn't need to be anything elaborate, just a place that's clean, dry and draft-free yet well-ventilated. It can be anything from an old outbuilding to a small shed or barn. In her book Your Goats, Gail recommends at least 15 square feet of housing per goat. Miniature goats can get by on less, about 10 square feet per goat. Stalls should be equipped with a rack for hay, a trough or box for grain, and a water pail holder. Include extra space for storing feed and other supplies, as well as a stand for milking. Separate the storage and milk areas from the goat quarters with a wall or partition that’s 4 feet high. It's important to keep the goats' bedding clean and dry. Top off the bedding as needed with fresh straw and replace bedding that gets damp or soiled. And remember: Goat manure and bedding are great for the garden. Give your goats plenty of outside space where they can play, exercise and forage to their hearts’ content. While some experts suggest 200 square feet as the minimum, more space is even better, especially if you want to give your goats access to fresh forage. Of course, goats with room to roam come with a price: good, sturdy fencing. A fence that keeps in cows or even sheep doesn't guarantee goats can't wander beyond its boundaries. They can squeeze through openings, nudge their way through weak areas and hop a fence if a large rock or elevated ground is nearby. A woven-wire or high-tensile electric fence at least 4 feet high is best for property boundaries. Keep the spacing tight on the lower portion of the fence so the younger goats can't get through. An electric fence works just fine for dividing the pasture into plots. It's best to allow your goats access to pasture and forage. They'll eat whatever is available: Goats are opportunistic feeders and appreciate a varied diet. This characteristic not only saves you time and labor, but helps reduce your feeding costs. Try to keep an eye on what's growing in your pasture, though; some types of plant, such as wild onions, can drastically alter the flavor of the milk. Make sure your goats have some type of roughage year-round, such as twigs, bark, leaves or pasture. Corn and sunflower stalks from the garden are another good source, as well as a fine-stemmed hay, such as alfalfa or clover. In addition to pasture and/or forage, a milking doe should receive 2 to 3 pounds of commercial feed each day, such as a 16 percent dairy ration, along with 3 or more pounds of hay. The amount will vary depending on other food sources, quality of feed and your goat. Ask your breeder about their feeding program. Provide fresh water at all times. Goat-proof any areas that might have plants growing that can be toxic to goats, such as oleander, yew and larkspur. You can find information about poisonous plants in your area by checking with your county extension agent, listed in the government pages of the phone book. Reference material on poisonous plants is also available through the U.S. Department of Agriculture and your state's agriculture department. Keep the milk supply flowing by breeding your does once a year, starting when they are 8 months old or when the does weigh at least 80 pounds (for regular-size breeds). Dairy goats are usually bred in the fall; however, they may be in heat any time from August to January. Does remain in heat for three days, usually on a 17- to 21-day cycle. Put your does and buck together at this time. Once bred, the buck should be separated from the does to ensure fresh-tasting milk. Kidding (giving birth) will occur about 145 to 150 days after breeding. Does usually have twins — sometimes triplets, depending on the breed. The doe will "freshen" and give milk after the kids are born. If kept milked, she will continue producing for up to 10 months. Allow her a dry period of about two months before she delivers new kids and begins producing milk again. During the milking period, you and the kids can share the milk; the doe should provide plenty. The best plan, says Gail, is — after the kids are 2 weeks old — confine them overnight and milk the doe in the morning. After her morning milking, leave the kids with the doe to nurse at will. Some people milk the does twice a day and give the kids bottles, which is labor-intensive but helps accustom kids to human handling. Milking is easy to learn: Just ask anyone who's ever milked a cow or goat to show you how. Milking is easier if you feed the does grain as you milk them. Milk out both udders completely and milk at about the same time each day. If you milk twice a day, separate the milking time by about 12 hours. Keep your milking equipment and area clean. Once you've finished milking, cool the milk-filled container as quickly as possible by setting it into a large pan filled with cold water for about 15 minutes. Occasionally stirring the milk with a clean utensil will help it cool evenly. Once the milk has cooled, pour it into glass containers and refrigerate immediately. Goat milk differs from cow milk in that the butterfat globules are smaller, so they disperse more easily, making goat milk naturally homogenized. Unlike cow milk, the cream will not separate on its own, so goat milk products will be much smoother and creamier. If you want to make butter, you'll need to buy or borrow a cream separator. Another difference you may notice is goat milk appears whiter than cow milk. To read the rest of the article please click on the link at the top. How do I prepare my property for owning goats? The following is an excerpt from Mother Earth News from the book; The Joy of Keeping Farm Animals. To read the full article here is a link to the Mother Earth News article and a link to the Joy of Keeping Farm Animals book. Laura Childs’ “The Joy of Keeping Farm Animals” is a practical, thorough guide for anyone interested in having a backyard barnyard. If a barrier can be jumped over, an electrical wire reached, glass windows pushed upon, grain accessed or nails stepped on, it will be. Any object within reach will be challenged, broken, eaten, chewed, ripped, pushed or punctured by a goat. If you wouldn’t leave your 3-year-old nephew alone for 20 minutes in the shelter or hope to hold him with the fence you just built, it probably isn’t adequate for a goat either. Goats won’t take up much room on your farm. Their housing requirements are nearly as casual as those required for chickens. In fact, a large shed will do just fine for a few goats. With just a little ingenuity and room in your budget, you can have the ideal setup for keeping goats. There are two primary methods for housing and containing goats. The first is to pasture them and provide a poor-weather and bedding shelter. The other method, “loafing and confinement,” is to keep goats in a shed or small barn with a fenced yard for exercise. The loafing-and-confinement system of raising goats is used mainly for dairy and fiber goats or by farmers who don’t have ample pasture. Sufficient room is provided inside and out but keeps high-energy activity to a minimum. Less energy expended allows for productive use of feed. An average goat only requires 20 square feet indoors, plus 200 square feet outdoors. Meat goats require more: 30 square feet inside, 300 outside. Miniatures require a third less than the others. An existing shed conversion may be perfect for housing goats and could save you building a new structure. Knowing the number of goats you will house at the height of the season (your does plus offspring that you keep for five to six months) will determine whether an existing building is adequate. A communal stall takes 35 to 50 percent of your floor space and leaves adequate room for a milking station, feed storage and one or more smaller stalls. The small stall will be used for isolation of a sick goat, quarantining a new goat, kidding or weaning. Design your floor layout to accommodate the feeding and watering of goats without entering their communal stall. The easiest way to do so is to build a half wall between their space and yours. Your side contains the manger, water bucket and soda/salt feeder. Their side contains slatted or keyholed head access to all three. A slatted or keyholed access manger may be the most economical investment of your time in a shed conversion. Goats are not only notoriously picky about the hay they eat, they are also the most wasteful. If they can climb into a manger to eat, they will do so, soiling their feed in the process. At an open manger, they are known for taking a mouthful of food, turning to see who may be behind them, and dropping half of their mouthful on the floor in the process. A slatted or keyholed access manger ensures they can neither swing their heads around nor climb into the manger to eat. The standard top width of a keyhole is 8 to 9 inches with a keyhole-shaped taper to the bottom at 4 to 5 inches wide. The full height of the keyhole is 16 inches. Goats will crane their necks to put their heads in at the top and then lower their heads to a comfortable fit within the slot. If the top of your wall is higher than most of your goats can reach through slats or keyholes, you could build a variable-height step on their side of the wall. Later, kids feeding at the manger will use the higher steps. Keyhole entries won’t work for horned goats. Goats will huddle together and keep each other warm (enduring temperatures to freezing) as long as their goat house is free of drafts and leaks and the bedding is ample and dry. Take extra care for extremely cold days and nights, if kidding is imminent, or if you’ve had early-season births. Extra bedding, a supervised or safe heating unit and/or a little extra hay for adult goats will help keep the cold out of your herd. During the summer months, you’ll find goats equally resilient, but do not lock them in during the hottest summer nights without a breeze blowing through and plenty of cool water. The flooring in a goat barn need be nothing more than dirt covered with a thick layer of bedding material. Straw and waste hay are easy to use and inexpensive, but wood shavings are easier for cleaning and more beneficial as a future compost. Keeping a goat’s bedding clean is of the utmost importance. You won’t have to spend hours cleaning out their pen every morning, though. All that is required is to lay some fresh bedding over the existing every few days. When you’re cleaning out the stall, be sure to compost the rich organic waste material for at least six months, then add it to your gardens. Compost longer if you’ve been using waste hay as bedding material. As the days grow short over the winter months, you’ll find yourself doing chores in the dark more than once. If you keep dairy goats, the addition of lighting performs double duty. Natural and artificial lighting for 18 to 20 hours per day will maintain milk production through the fall and winter months plus increase the success rates of early spring breeding. Store grain away from all moisture, out of the sun, off the ground, and certainly out of a goat’s reach. Should a goat obtain access to the grain barrel, it will eat until the grain is gone — gluttony that could result in death through bloat. A galvanized trash can with a snap-on lid placed well out of reach keeps goats and vermin out of the grain. The goat yard should be dry at all times to prevent bacterial infections in hooves. If you don’t have a dry area available for goats, a poured concrete pad suffices during the rainy season. It will also keep their hooves neat and trim. Plan for at least part of the yard to be on the south side of the building. Goats are happiest when they have something to climb on. An outcropping of rocks is ideal, but any sturdy structure will satisfy their instinctual nature to climb. Keep climbing objects well away from the fence or they’ll use them as steps to freedom. “A fence that can’t hold water won’t hold a goat” is an age-old axiom. Above all other considerations, the fence deserves the most attention. Goats will go over, under or through a fence before you’ve taken three steps away from their yard if it hasn’t been built correctly. Four-feet-high minimum. Five-feet-high for the highly active and nimble Nubians and miniature breeds. Page wire fencing with 12-inch openings is acceptable if you will never need to contain kids; otherwise invest in a 6-inch page wire. Chain link or stock panels with small openings are equally acceptable. Use 8-foot posts, 8 to 10 feet apart, buried at least 30 inches into the ground. Posts can be steel or wood. All corner post supports of a goat yard fence go on the outside. Goats will climb or shimmy up a fence support no matter how slim. If building an electric fence only, run the wire, from the bottom up, at 5, 10, 16, 23 and 31 inches, and a final strand at 40 inches for all breeds. Electric fencing is not a viable option if power in your area is prone to blackouts, although you can also consider solar-powered electric fence chargers. They are common, effective and not too expensive. Remove all weeds that touch the wire. Your goats will watch you enter and leave the yard. In doing so, they will learn how to operate the lock. As soon as they’ve mastered the latch or handle, they’ll be wandering through your flower garden, investigating activity on the road, taking their lunch in the grainfields or bleating at your front door. A goat can flip a hook out of the eye it rests in and has the determination to mouth and hoof at a lever latch all day until it opens. Determined goats have even been known to slide a large bolt to the open position. Place all slide bolts, latches or locks on the outside of the gate where the goat can’t reach them. Install your gate to swing into the goat yard so that even if one of your escape artists manages to unlatch the gate, she might not know she did so. To read the rest of the article please click on the links at the top of article. The following is from Off The Grid News by John How-To, please follow the link. So you have caught a case of goat fever? Perhaps you have done extensive, meticulous research about goats and have come to the conclusion that Capra aegagrus hircus would be a welcome addition to your farm…or perhaps you were noodling about the local farmers’ market, poking the cabbages and admiring the jars of fresh local honey, when you were taken in by a pair of friendly, intelligent, liquid brown eyes with horizontal pupils peering out at you from a slatted crate in the back of an old pickup. In any case, it is easy to understand the appeal of goats, as they are one of the oldest domestic animals known to man. These clever ruminants have been a part of human lives and livelihoods for over ten thousand years. Smart, social, productive, and hardy, the goat is enjoying a renewed popularity in the United States as more and more families discover the joy of small-scale farming. When properly kept, goats are a wonderful addition to the small farm or homestead: they can produce milk and high-quality fertilizer, and, if so desired, meat and hide as well. Unlike their fellow farm animal the bovine, they are small and easier to handle for the novice. Goats require less land and/or resources to raise. And perhaps most desirable considering the busy lives most people have today, it is unnecessary to adhere to the strict schedule the milk cow often requires. Goats are browsers more than grazers, and they have a delightful appetite for the rougher brush, poison ivy, fallen leaves, and other less palatable forage, making them a popular natural method to clear property. When pastured with cows or other livestock, they can provide a good control for undesirable overgrowth in your pasture. Goats are also clever climbers, impressive high jumpers, and talented escape artists. They have a proclivity for noshing on your landscaping (or your neighbor’s, as a goat has little regard for property lines) as well as wooden structures and farm equipment if within reach. They can be shockingly destructive in a relatively short period of time, so proper housing is essential to ensure both the health and safety of your animals and your peace of mind. An only goat is not a particularly happy animal, so plan for at least two if you can, or at minimum, another companion of like species. There are over 300 breeds of goats from the diminutive pet pigmy to the impressive multipurpose Boer. The size of your property and your planned use of the goats will help determine which breed fits your needs, but for the most part, housing, feeding, and general care are the same with only moderate adjustments in scale. There is a plethora of excellent books that delve into the minutia of goat care and design of a goat house. It may seem intimidating, but the first-time goat owner can feel confident that good common sense and a basic knowledge of these sturdy animals’ needs and proper general care will result in a successful and rewarding goat keeping experience. The hair of the goat is hollow, which means as a rule they regulate their temperature quite well and are hardy in even the colder climates. As with any species of livestock, they do need protection from the elements. Goats seem particularly sensitive to exposure to drastic changes in weather. Even if you’ve got acres of rolling hills on which your animals can wander, a shelter of some kind is a necessity and a small pen enclosure highly recommended when it comes to kidding, illness, grooming, breeding, milking, or general health care. A proper fence is also critical, be it a small lot or several acres. 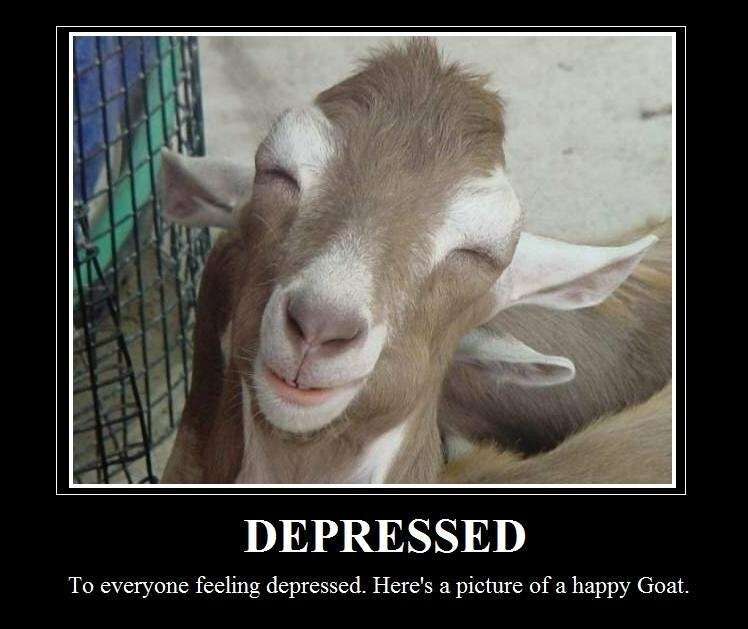 A cold goat is not a happy goat and a wet goat rather miserable, but a cold, wet goat is an open invitation to pneumonia. Conversely, an animal without access to a shady, cool area in hot temperatures is susceptible to heat injury and dehydration, which can lead to serious problems, particularly in bucks and wethers. In locations with more moderate seasons, a three-sided shed with a roof open to the west, furnished with a few narrow benches, might be just the ticket, while goats who spend days on end with temperatures in the teens would be more comfortable in a solid enclosure that can be closed up somewhat and perhaps insulated with bales of straw. A rule of thumb, given to some adjustment depending on the breed of goat you plan to house, is between twelve to sixteen square feet per animal in the goat house. A smaller foot print might lead to crowding and weaker herd members being pushed out, while larger spaces are harder for the goats to keep warm in the winter months. Thanks to the modern hardware store and the uniform size availability of most building materials, even the novice goat owner with limited carpentry skills and basic tools (and a bit of help holding materials in place) can build a simple, attractive, functional goat house. A thoughtful design can work well in areas of excessive heat and can be modified for locations with cold winters. This shed, a surprisingly simple and easy-to-build design of sixty-four square feet, can accommodate up to four average-size goats (and one wayward calf, it would seem). It provides a breezy opening along the top of the walls for good circulation. It features a raised platform on one side for climbing, napping, grooming, and milking if desired, and a cozy spot underneath the platform that is shady in the summer and blocked from the wind in the winter. A simple door can be fashioned, as well as shutters for cold and snowy climates or to secure other animals outside when handling an individual goat. The most tempting wood edges can be wrapped with chicken or welding wire, which will discourage your goats (who only have teeth on top) from excessive nibbling. If you plan to rake up and use droppings in your garden, a dirt floor does nicely. It is easy to keep clean, provides few spots for rats and other “nasties” to set up housekeeping, and stays cooler in the summer. A sprinkling of clean straw or natural wood shavings such as pine can provide a bedding if desired, particularly in winter, and add a bit of organic material to your home-grown fertilizer. (Be leery of waste wood chips unless they are your own, as some common landscaping bushes are toxic to goats.) Straw in particular works well, gently lifted and tossed with a stall fork into a pile in the corner, and it is quick work to sweep up the pellets that have sifted through with a broom and dustpan. If you add lighting or any other electrical wires, be very, very careful to secure the wires well out of goat range and keep light fittings well protected. If you are building a yard in which to pen your goats, try to plan a generous 200 feet per goat, particularly if they are going to be contained all or a majority of the time. Keep in mind that a nice grassy lot will be quickly reduced to mostly dirt. Generally, goats’ nibbling alone would simply keep the grass short (they do not pull up grass by the roots like equines do, so they normally do not denude an area by eating alone unless it is a substantial number of goats on a small area); however, walking, running, playing, and scratching at the ground to make it “comfy” can quickly turn the area into a dry lot. Trees or bushes inside the enclosure to provide shade are desirable but must be well protected if you plan for them to remain! Your yard has a strong likelihood of becoming muddy and churned up during the wetter seasons, so a gravel path of small smooth stones on the areas you plan to travel while taking care of the goats could make things easier. If you have only a small number of goats and a modest pen, you might try to protect the grassy footing with a layer of chicken wire, laid flat over the grass while it is mowed very short, and tacked down firmly and safely. The grass will grow up through the fence but the wire will provide a bit of protection for the root base. However, careful inspection to make sure a curious goat has not pulled up a corner and created a hazard is important, and raking up droppings for garden use is more difficult. Fence is critical. Well-placed posts should be no more than eight feet apart, and tightly attached woven “no climb” welded field wire is a good choice at a minimum height of four feet. Consider taller if you are housing larger breeds. Be aware that for some reason goats seem to be in a perpetual state of “itchiness” and will bend wire up by rubbing along the length, often creating a gap along the bottom for an escape. To discourage climbing, rubbing, and prodding with horns (if your goat indeed does have horns), a line of hot fence at chest level works quite well. While many solar devices seem to still be working out kinks in performance, the solar fence charger has been around for many years and, when properly grounded and well maintained, works quite well in areas without power available. Chose a gate that has the bars appropriately spaced for your size animal— not too wide to allow squeezing through and not too narrow to allow a head, particularly with horns, to become trapped. If you are unsure if your gate presents a head catching hazard, a length of the field wire firmly attached to the outside of the gate can give you some piece of mind. The more narrow the gate you can get away with and still accommodate any equipment, the better, asgoats get quite good at the “fast break” when you are coming in and out! The same holds true if you plan to provide a hayrack for your goats for feeding forage. Pay particular attention to the width of the bars. Several companies do in fact make hayracks for goats, which are smaller and better spaced. A covered roof that can be lifted up is a big plus if you are feeding forage outside of the barn or shed. Goats make quite a mess with hay and other fed browsing materials, which can lead to mold as well as rats and mice setting up housekeeping. For all the reputation goats have for eating anything, it is remarkable how quality roughage immediately becomes “unpalatable” in some goats’ minds once pulled on the ground and trodden upon or slept on! Goats need fresh clean water, and they can be remarkably picky about a water source. You need a tank big enough to provide water for your herd and not get turned over by playfulness but small enough for you empty and clean regularly. Plan to raise your tank to a level that allows easy drinking but discourages accidental droppings or tumbling in for young goats. A raised or tall tank can be surrounded by a couple of solid cinder blocks; goats will quickly learn to climb up on a “step” to get a drink. Surprisingly, water is the biggest challenge both in the summer and winter months. Insulated tanks are pricey but can be a good investment in extreme climates; a quick Internet search can find several “home” insulation designs that look quite promising. In the long hot summer months that seem to turn a clear tank a mucky green overnight, sometimes a small pond pump, solar or electric, placed on the bottom of the tank will keep it circulating and more cool and clear; as a rule, goats are not given to go diving, but take care that the water level stays high enough to keep curious lips off of both the pump and the wires. Safe, well-designed housing of your animals make take some extra time, thought, and expense, but will be well worth it in the long run for both your family and your herd. Welcome to world of goats—they can be very rewarding and a great joy to have on your farm. "Chocolate Chip Goat Milk Ice Cream"
"Raising Goats: Strategies for Success"